The Professional Regulation Commission (PRC) officially released today, August 3, the complete list of passers for July 2015 Social Worker board exam. 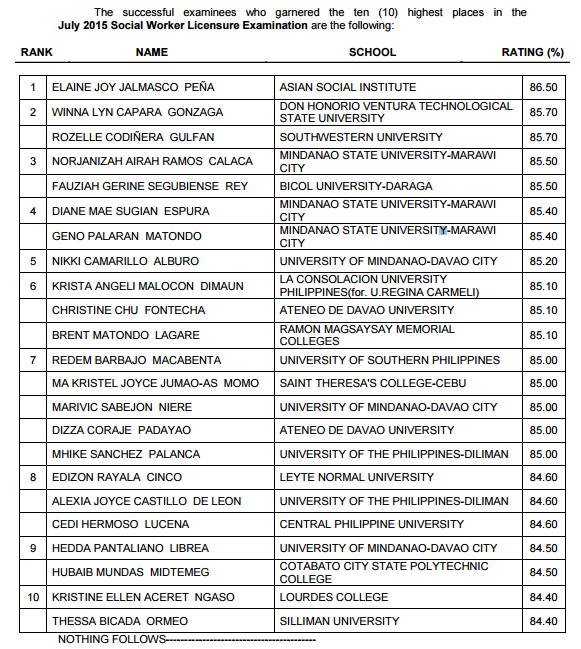 Elaine Joy Jalmasco Peña from Asian Social Institute (ASI) topped the board with 86.50 percent grade. Winna Lyn Capara Gonzaga, graduate of Don Honorio Ventura Technological State University ranked second with 85.70 average grade.